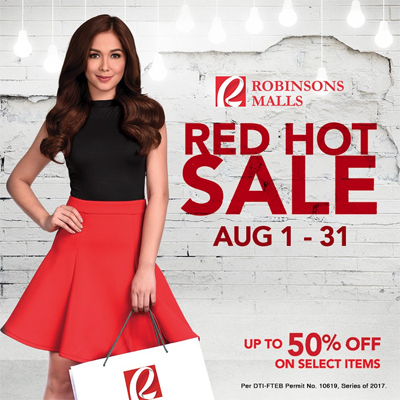 Get ready to do some serious shopping because Robinsons Malls is having a Red Hot Sale until August 31! Shoppers can get up to 50% off on participating brands. Time to do some early Christmas shopping! 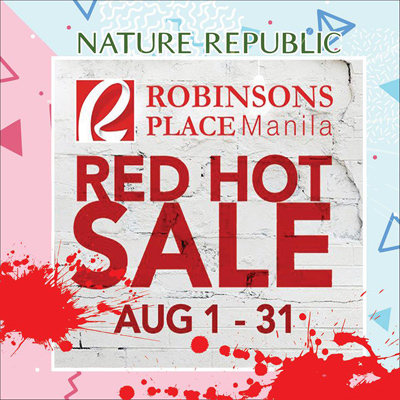 Skincare junkies, Nature Republic is having a Red Hot Sale at their Robinsons Place Manila branch until August 31! Time to stock up on face masks! 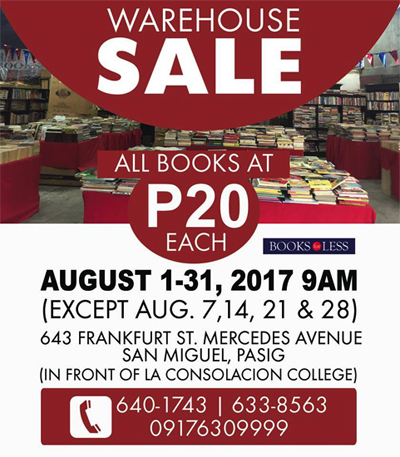 Bookworms, listen up: Books for Less is having a month-long Warehouse Sale until August 31 (except Mondays), 9 a.m. onwards, at 643 Frankfurt Street, Mercedes Avenue, San Miguel, Pasig City. 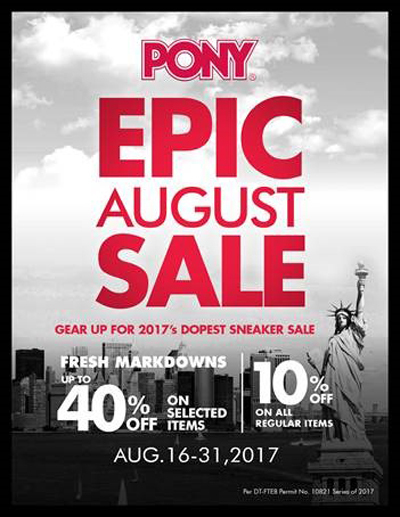 Sneakerheads, get up to 40% off on classic Pony pairs like the classic Topstar and the fresh Shooters! You can even get a 10% discount on all regular-priced items. 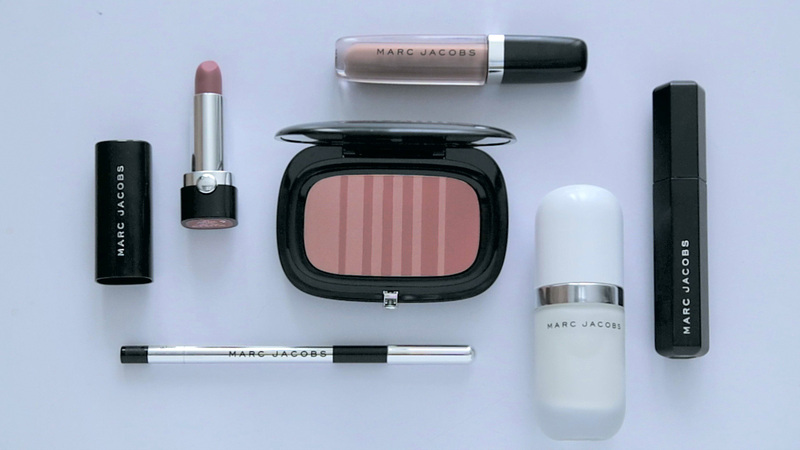 Lipstick junkies, it's time to go lipstick shopping! 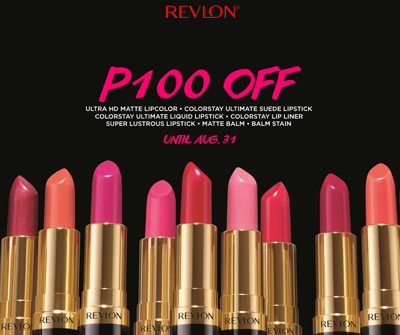 You can get P100 off on Revlon's popular lippies like the Matte Balms, Balm Stains, Ultra HD Matte Lip Color, ColorStay Ultimate Suede Lipstick, and more. Just visit any Revlon counter nationwide until August 31! It's your last chance to enjoy Butterfly Twists' Buy-One-Get-One-Free promo! Call up your BFF, head to any of their stores, and get ready to go shoe shopping because this promo is only until August 31. Looking for a good excuse to get yourself a brand-new bag? FINO Leatherware is having an Annual Sale until August 31! 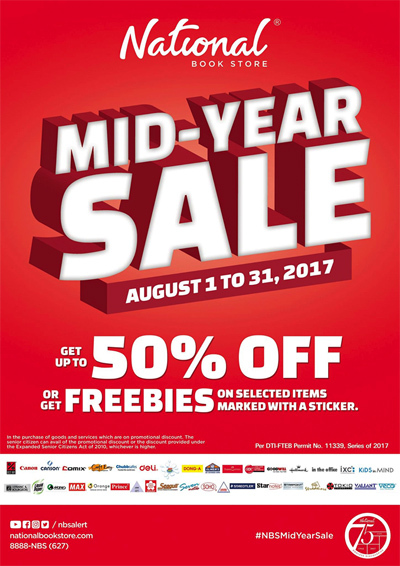 You can get up to 50% off on their stylish leather products like bags, wallets, wristlets, belts, key holders, and more. Just visit any FINO Leatherware store. 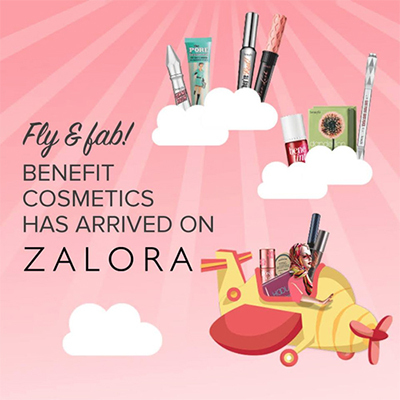 Makeup lovers, Benefit Cosmetics is now available on Zalora and they're celebrating by treating everyone to a two-day sale! Score 20% off on all of your Benefit Cosmetics faves (yes, including their popular brow collection) when you shop online on August 31 and September 1. 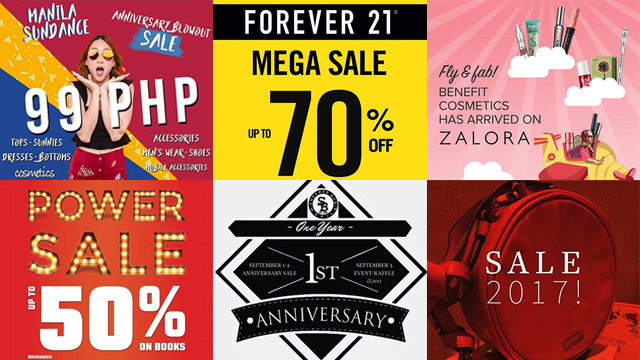 Shopaholics, Forever 21 is kicking off the Ber months with a huge three-day sale! Score chic fashion pieces for as low as P199 when you shop at the Forever 21 Mega Sale happening at the Megatrade Hall 2, 10 a.m. to 10 p.m., from September 1 to 3. 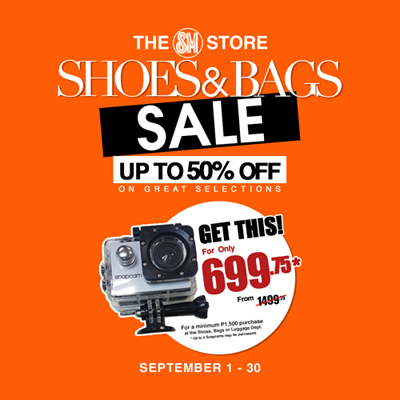 Shop from your favorite online brands and score cool finds and stylish pieces for as low as P99. 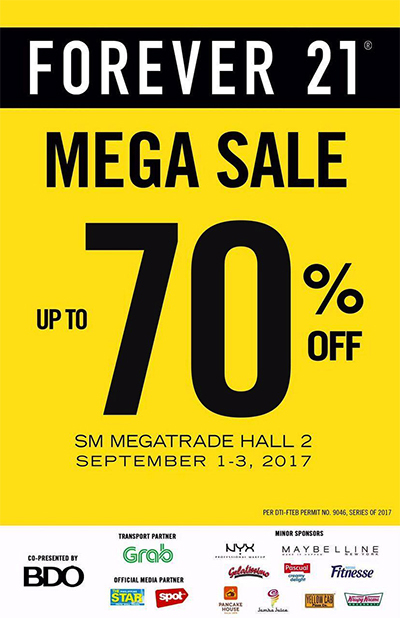 Head over to Megatrade Hall 3 at SM Megamall or the World Trade Center Hall D from September 1 to 3 and get ready to go shopping! Sneakerheads, Sneaker Box Manila is celebrating their first anniversary by treating you to awesome discounts from September 1 to 3. You can get up to 20% off on coveted pairs like the Adidas NMD, Ultraboost, Yeezy, Jordan, and more. Plus, you might just win a pair of Yeezys when you shop! Just visit Sneaker Box Manila at the G/F Promenade Mall 3, Greenhills, San Juan. Ready your wallets because Primer Group of Companies is having The Great Brands Sale until September 3, 11 a.m. to 9 p.m. at Tiendesitas Events Center, Pasig City. Score sweet discounts up to 70% off on brands like New Balance, Nike, Adidas, Herschel, Parkland, Tretorn, and more. 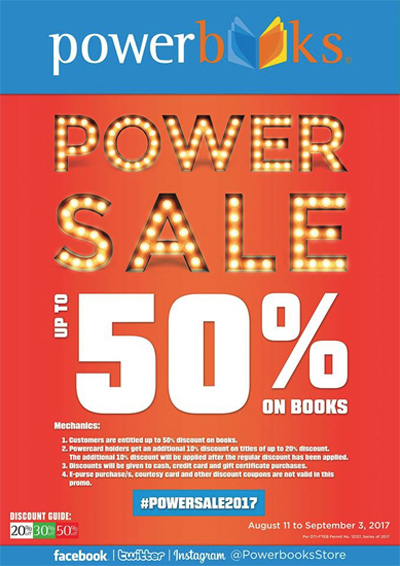 Your stash of unread books is about to get bigger because Powerbooks is having a Power Sale until September 3! You can enjoy discounts up to 50% off on some of your favorite reads.